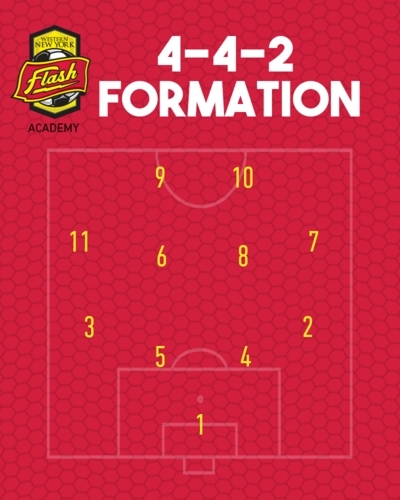 The Western New York Flash Academy soccer philosophy is based around a high intensity, attacking and possession based style of play, meticulously detailed and outlined in our WNYF Club Wide Methodology. This internal document guides our coaches at all levels of play. It defines our primary formation, alternative formations, along with our attacking style of play, defensive style of play, and positional characteristics. It is a living, breathing, evolving methodology; updated each year by our technical staff. The game doesn't stand still, neither do we. Professional Development for WNY Flash coaches is a continuous process, including pre season and in-season PD sessions designed to create discussion, debate and ideas. Just as we ask our players to challenge each other in training, we ask our coaches to challenge each other; to make us better. Zone 1 (Ages 6-10) - Players are having fun, learning basic technical fundamentals and learning to love the game in Zone 1. 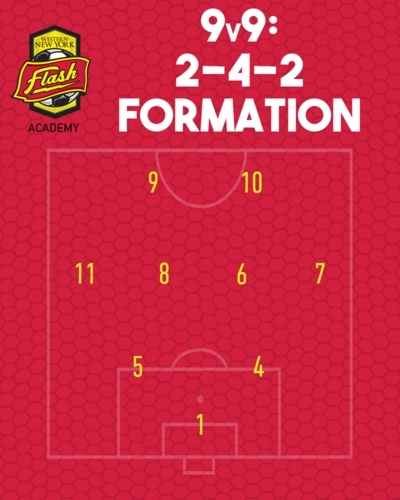 Players develop the basic techniques of the game, fall in love with the game and are already playing their first games, working out how to turn technique into skill, as they develop in 1v1 to 7v7 small sided games. Zone 2 (Ages 11-15) - Players are learning to train in Zone 2. The emphasis switches to decision-making, problem-solving and developing skills from base techniques. Continued technical development is important and must happen within the context of the game. The understanding and development of tactical decision-making becomes more and more important towards the middle and end of Zone 2. At the end of this stage, players will have a solid understanding of one or more positions in the 11v11 game. Zone 3 (Ages 16-18) - Players are training to play and learning to win in Zone 3. Winning becomes increasingly important and players must learn the habits of a successful collegiate and professional soccer players for advancement to the next level. Players are asked to give back to the younger players within the club as role models and coaches, gaining life experience in the process. It is possible to be selected to train or play with the Western New York Flash women's or men's first team in Zone 3. Players will be trained in ball mastery, utilizing both feet and different parts of their body to improve control and technical speed of play. Technical training within the context of the game will be used from an early age, and with increasing frequency as players grow and develop. When a player learns to implement technique in game like situations, with increasing amounts of pressure, they develop skill. 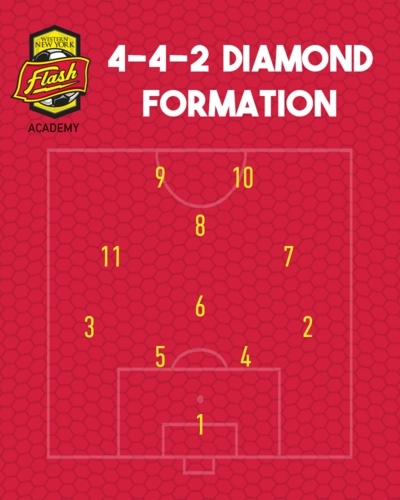 Players/teams will be trained in game-like situations, raising their soccer IQ and on-the-field awareness, to play within WNY Flash systems and formations. 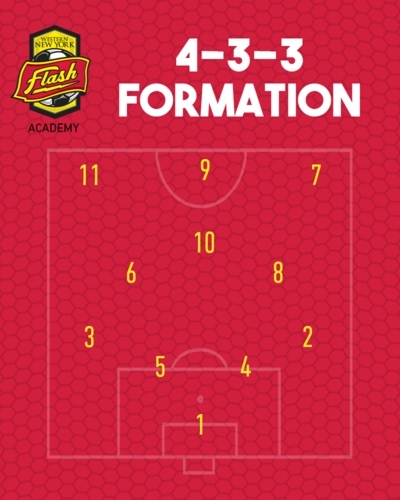 These WNY Flash systems will be used throughout the various age groups to facilitate the development of creative, attacking soccer. Soccer presents a unique challenge where athletes must possess a wide variety of attributes, specifically speed, quickness, strength, agility and endurance. It's important that each player understand their own personal strengths and weaknesses, and is able to contribute the team in a positive way. Developing a mental toughness, learning to play in the zone and learning to control emotions, are just a few important components of a players psychological make up.